Not only is the real estate sector becoming increasingly competitive, legislation governing real estate in South Africa is also becoming more onerous. As of 31 October 2015, all real estate agents in South Africa need to comply with the Estate Agents Affairs Board’s (EAAB) legislation, in order to operate as an agent. If you aren’t fully qualified yet, start your training today! PropAcademy is a real estate academy offering affordable real estate courses in South Africa. By drawing on our plethora of practical and training experience in the local real estate industry, we’ve devised a flexible online study program that enables you to study towards meeting the legislated requirements for estate agents, anywhere, anytime, and at your own pace. PropAcademy’s Residential Intern Logbook Premium course beats any other residential Logbook course on the market, hands-down. It incorporates training material developed by successful and highly experienced estate agents and property experts who understand the needs of today’s intern agents. PropAcademy is an accredited ServicesSETA provider of the NQF 4 Real Estate qualification. The course design is simple and to the point so that you can easily follow it in face-to-face events and online. It comes with learner guides, videos, webinars and brilliant facilitation. This blended learning course offers you support throughout the course to ensure your success. An estate agent must be found competent in the Estate Agents Affairs Board (EAAB) PDE 4 exam in order to achieve full status. This is a regulated requirement that all agents must achieve. PropAcademy has designed a step-by-step online course to enable you to understand the fundamentals of this exam, ensuring you have all the necessary tools to pass. Looking for a SSETA accredited NQF5 real estate course that you can complete from anywhere and whenever you like? This PropAcademy NQF5 course is the perfect solution for you! Available both as a full course and as RPL (Recognition of Prior Learning), it comes with all the resources you’ll need to gain your NQF Level 5 qualification. Here is a SSETA accredited RPL (Recognition of Prior Learning) NQF4 real estate course that you can complete from anywhere! This PropAcademy RPL NQF4 course is the perfect solution for you! Available as RPL it comes with all the resources you’ll need to gain your NQF Level 4 qualification. Want to achieve Principal Property Practitioner status in record time? PropAcademy’s accredited facilitators and assessors are all trained to help you assess whether you qualify for RPL, and if you do qualify, this NQF5 RPL course is the perfect solution to help you achieve your goal as quickly as possible. 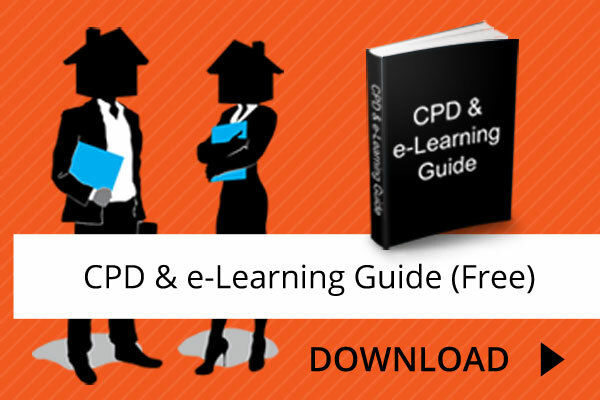 Download our free legislated qualifications guide for estate agents. This guide includes an outline of the Estate Agents Affairs Board (EAAB) and ServiceSETA (SSETA) qualifications, how long it will take to complete the various legislated courses, and what could hold you up as you progress towards becoming a fully qualified estate agent. Non-compliance with education regulations legislated by the Estate Agents Affairs Board (EAAB) will result in your agency being disqualified by the Board, putting you and your agency out of business. Let us help you understand the processes. Purchase a Course & Click to Enter Today! Exemptions are offered for NQF & PDE qualifications in full, and NQF in part. Applicants who have registered qualifications with subject matter that is relevant to real estate, or agents who have been practicing in the real estate field for specific time periods with certain qualifications, can be found exempt by the Board. Pre Audit Evaluations – Are You Compliant? In order to ensure that legislation is being enforced by the estate agency firms, the EAAB has initiated random audits. These audits are going to intensify in 2015. Don’t be caught unprepared. Are you finding it impossible to deal with the EAAB via telephone and email? PropAcademy has a dedicated representative at the Board’s offices in Sandton who can save you time, money and frustration. We believe that classroom workshops are a thing of the past. Technology is here to be used, and we are using it. Lugging heavy books and learning material around with you is no longer necessary… it’s time our wonderful industry embraces 21st century learning together! In addition to our online real estate courses, 30% of the allocated time for SSETA qualifications is allocated to face-to-face workshops. Everything we do is designed to ensure you achieve your dream in the least amount of time while maximizing your knowledge and giving you the ultimate learning experience. PropAcademy’s founder has more than 25 years’ hands-on experience in the real estate industry, incorporating all aspects of real estate. Our lecturers are all highly experienced in their respective fields. Our courses are designed to keep you interested, keep you focused and to help you achieve your qualification. Our website is easy to navigate and our webinars allow for easy participation in discussions. We also provide educational videos to offer a broader perspective. These can be watched as required. Not sure how to go about becoming an estate agent? Read our detailed guide on How to become an Estate Agent in South Africa, and get started on your real estate qualifications online today. I was extremely nervous in entering the real estate industry, especially with all the new qualification regulations. With assistance from Samantha and the rest of the PropAcademy team my fears have disappeared and I feel exuberant about my future in this field – eLearning is simple and so easy to do in your own time. When I get stuck PropAcademy is there to hold me up and encourage me. Explore our affordable online courses and start your real estate training from the comfort of your home today!